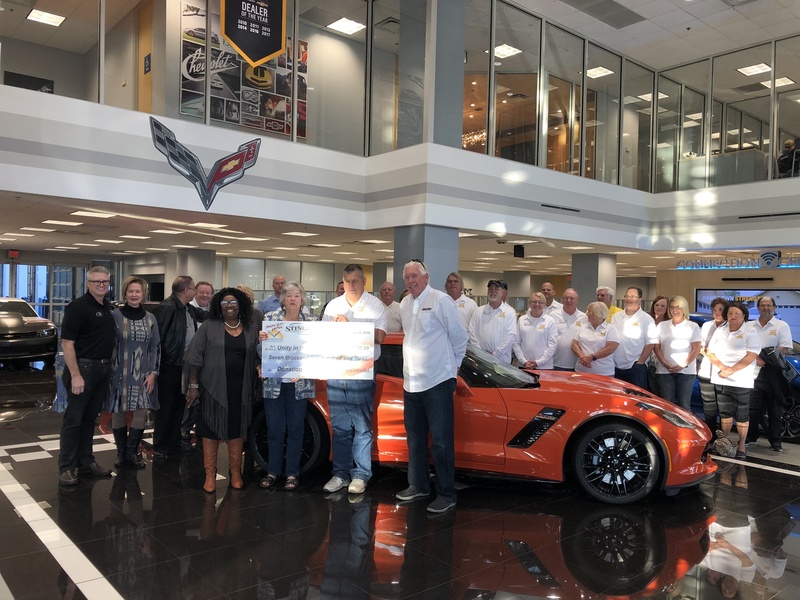 Tampa Bay Vettes made a $7500 donation to Unity in the Community on January 21, 2019 at Stingray Chevrolet. 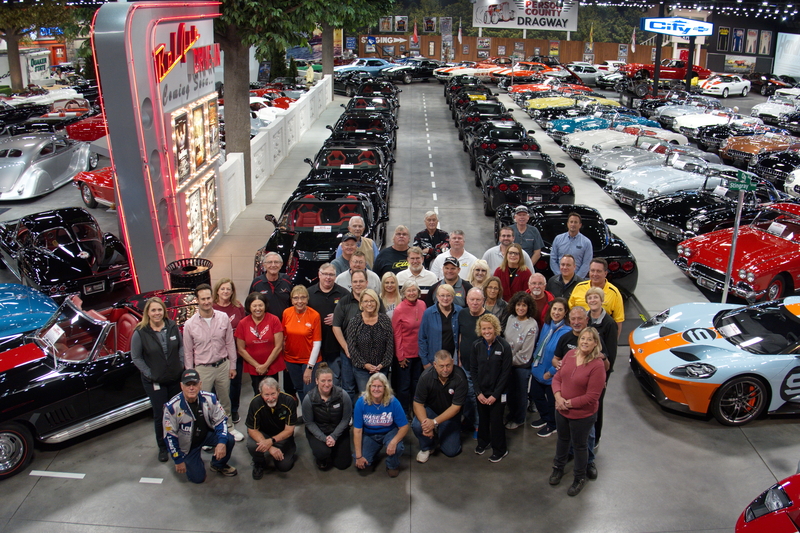 This donation was made possible from the proceeds earned at our club's "Ultimate Corvette & Chevy Show" held at Stingray Chevrolet in October 2018. A big thank you to all the members that contributed to the show and came out to Stingray to present the check! 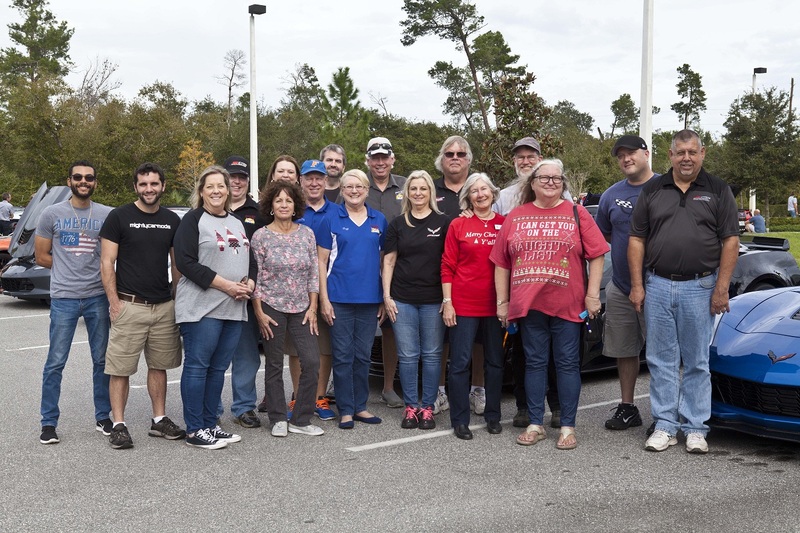 On Saturday, December 1st, 2018, several TBV members attended a Toy Run to benefit disadvantaged children of Brevard County. We staged at Eckler's new warehouse & showroom in Titusville, where we were escorted by Brevard County Sheriff motorcycles, cruisers and Canaveral Fire Department vehicles to Port Canaveral, where we dropped off the toys. 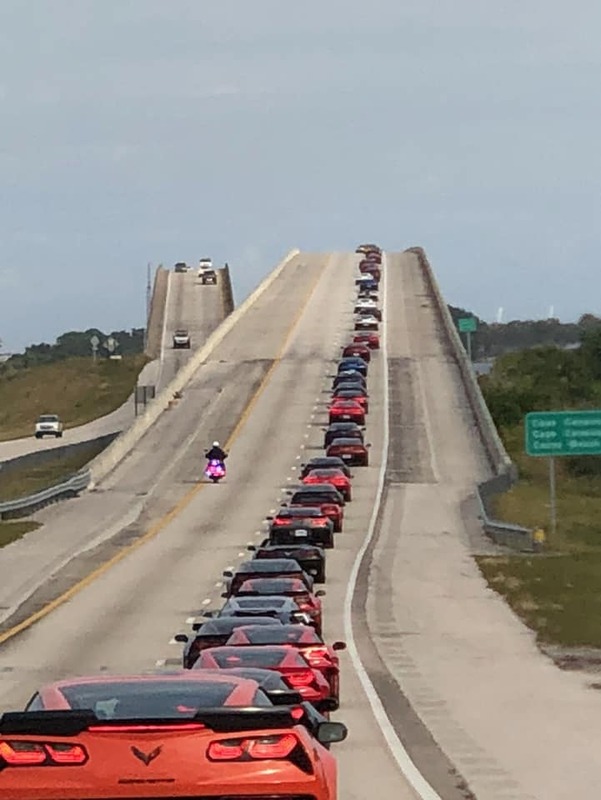 Over 200 Corvettes participated in the event! Unity in the Community received a $6,000 check Monday from the Tampa Bay Vettes Club. 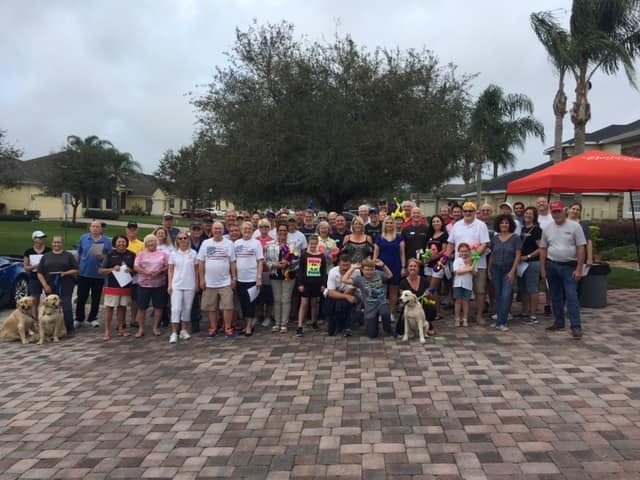 Ralph Girard, president of the Tampa Bay Vettes club, said the organization appreciated what Unity in the Community represents in Plant City. The organization is comprised of more than 200 members and they voted to donate a portion of their fundraising over the past year to Unity in hopes it will aid in continuing to make a difference in the lives of those in need. Go to the Event Calendar, as new events are being constantly added. If you want a particular event added, email me the details. If you have a picture of your car that you would like to post in the "Members' Cars" area of the website, please email it to webmaster@tampabayvettes.com. Periodically check out the FAQ page to find helpful answers to commonly asked questions about the website, including how to add a picture to your website profile, and creating your own photo albums on the site. Click here to become a member of Tampa Bay Vettes! 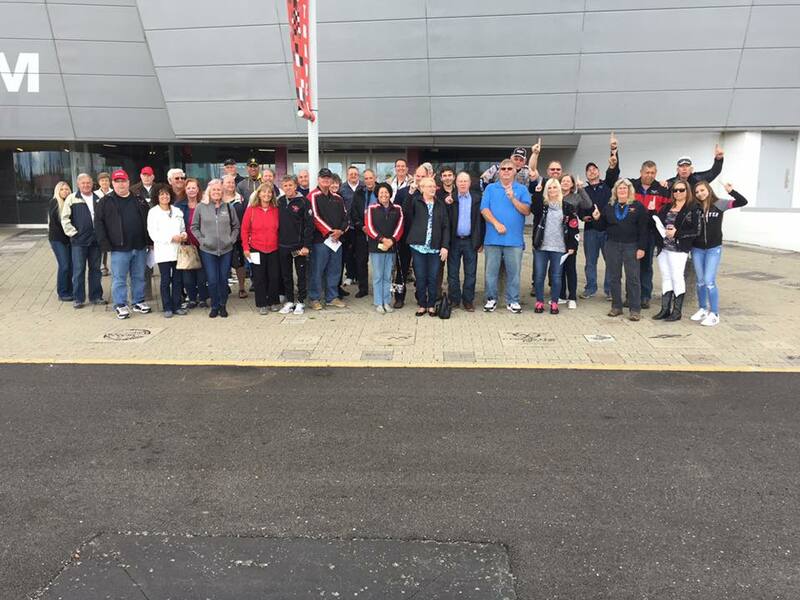 Welcome to our international sister club, Auckland Corvette Club, from New Zealand. 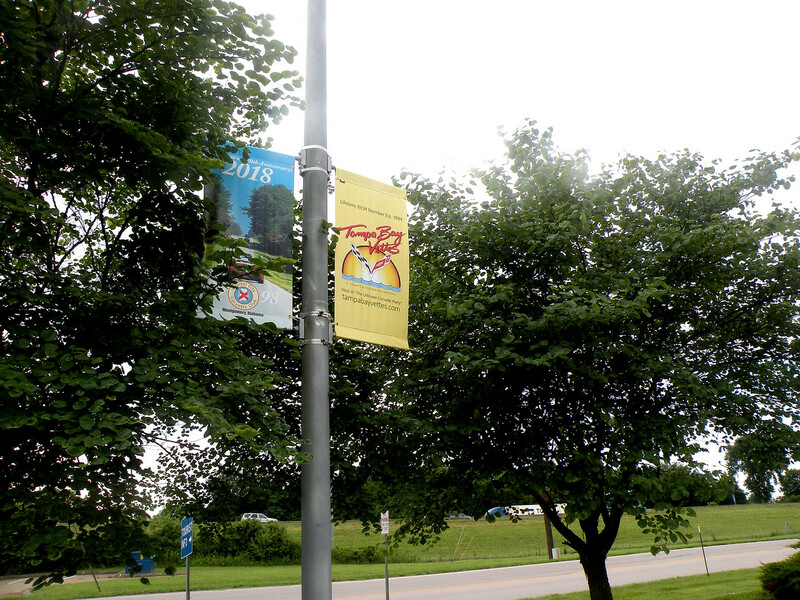 Each year the National Corvette Museum changes out the banners in the parking lots. NCM is working to gradually shift the banner schedule so that the banners are looking their best during the peak visitor months. For that reason, the next batch of banners will go up the first of June and stay up for 10 months so that by 2019, the banners will have evolved to a one year, April to March term. 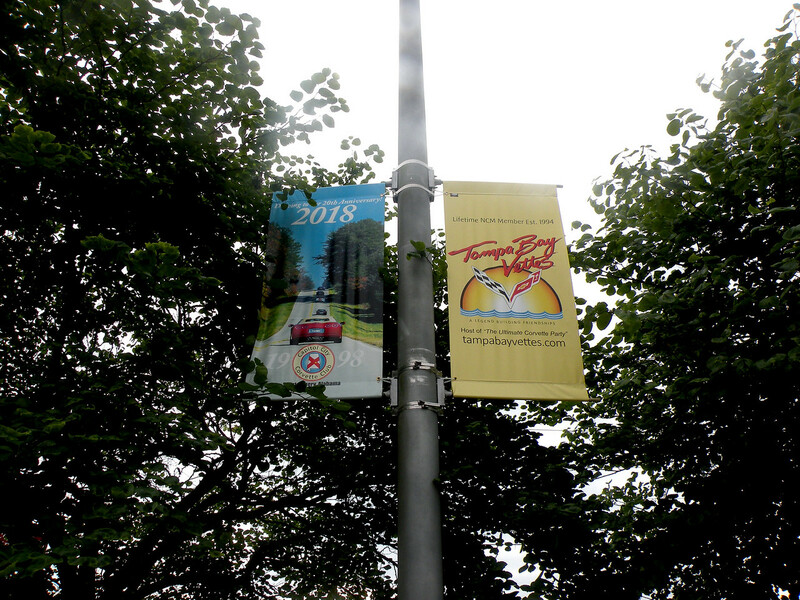 A contest is also held to select the top three parking lot banner designs each year. Banners designed by the Museum are not eligible. The 2018-2019 banners can be viewed here. Below is the Tampa Bay Vettes parking lot banner for 2018-2019. Welcome to the Tampa Bay Vettes website! TAMPA BAY VETTES INC, established in 1994, is a Florida Non-profit Corporation. Our Club meetings are held on the second Wednesday of each month. All Corvette owners and enthusiasts are welcome to attend. Don't forget to visit our sponsor dealership, Stingray Chevrolet!